Ok, admittedly a rather dramatic statement from someone who was a senior manager of an environmental agency for 17 years. I often used it as a opening statement in speeches and presentations – it got peoples attention – and in meetings – it pissed people off. 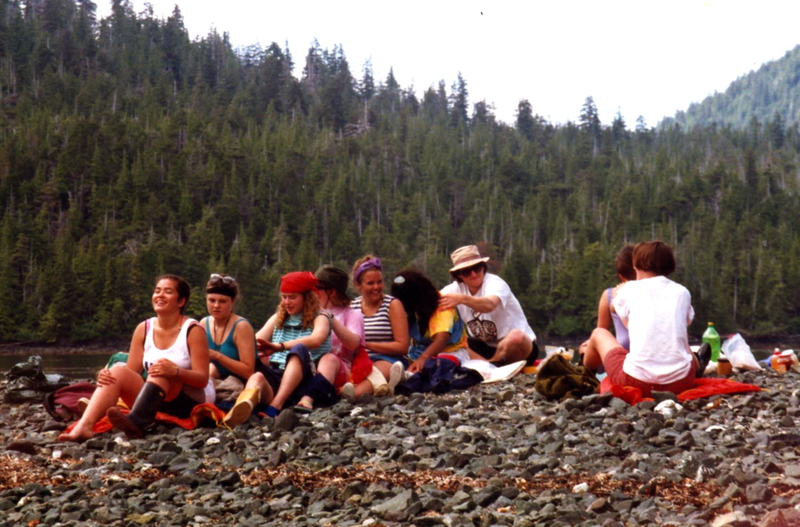 I first noticed this affliction when I did my first real environmental activity and went on a “wilderness trip” to the Queen Charlotte Islands (now called Haida Gwaii) with a number of young environmentalists in kayaks. To make a long story short, i was often miles behind them, and almost didn’t make it across a stormy Hecate Strait (I remember the waves as 5′ – that might have been exhaustion though.) My try at being an “urban” environmentalist met with a similar fate – composting the heritage strawberries brought about my ban from working in the community gardens. These two experiences (and there are many more) made it clear to me that if I was going to make it in this movement I was going to have to find my own niche. I found my answer through focusing on the “people” more than the “green” part of the environment agenda. What jazzed me was less what physical environment needed saving, but more a question of who did not have access to a healthy environment, and what were the social and economic conditions that kept them from that environment. In Vancouver, where my agency was based, the answer became obvious – it was those on the other side of the tracks in East Vancouver, or in a more global sense, those on the proverbial other side of the tracks in the developing world. They were the ones who did not have access to a healthy environment, an environment that no amount of kayak trips would give them. So, with this expanded focus, I and EYA slowly and sometimes painfully changed how and what we worked on (see my Master’s thesis The Environmental Youth Alliance: An Exploration of Complexity Science to be understand how this changed happened in EYA). We moved from the richer Westside to the poorer Eastside of Vancouver; we partnered with marginalized communities such as aboriginal, gay and lesbian, immigrant, and street youth, and asked them what they needed for a healthy environment. We began to expand our focus from the developed world to the developing world. We also committed to working where our new partners lived – the urban environment, and not the remote or rural areas. Along the way our friends changed. We gravitated away from traditional environmental agencies, and made links to social justice/human rights groups, urban environment groups, etc. This is not to say I or EYA left our environmental roots – there were many in the agency who were true environmentalists – we just assured that whatever we did was seen through a lens of social justice. Much has changed in the 19 years since I started with EYA. Environmentalism has grown from being defined by the saving of wilderness areas, to incorporating social justice and economic issues. There is a growing realization that the phrase”urban environment” is not an oxymoron. I would argue that cities, which now house over half of the worlds population and growing, have an environment just as important and as diverse as any rainforest. So, am I an environmentalist? Guess it’s all in how you define it.